Join us at the bottom of the ocean and play Siren’s Kingdom on Videoslots.com. This video slot by Iron Dog Studios will take you on a spectacular quest to find the treasures hidden somewhere on the seabed by simply spinning on this game’s reels. Siren’s Kingdom is a five reel online slot, and is played on 3 rows and 30 paylines. Around you, in this underwater realm, you will see Wild Mermaids which expand to cover the reels, and will help you reach even bigger wins. These Wild Mermaids, whenever they land during the Free Spins mode, will also expand across the reels so you’ll be winning even bigger prizes with multipliers of a bigger payout. Are you lucky enough to land the Wild Mermaid Siren – there are big wins in store for you here! Thanks to their alliance with 1x2 Network, Iron Dog provide us with a beautifully designed video slot with fantastic imagery and symbols that add a whole new layer of realism to this aquatic adventure. 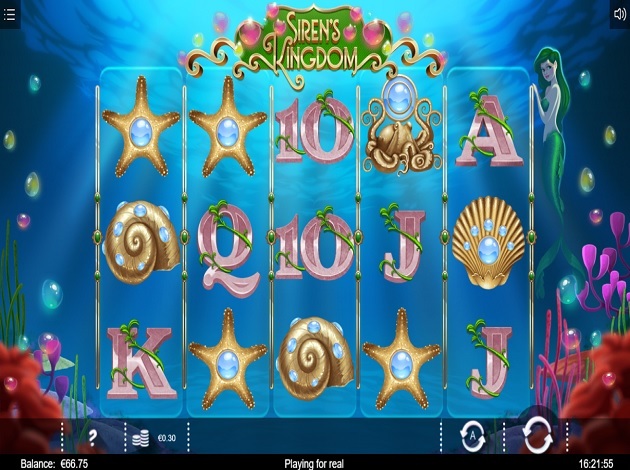 Siren’s Kingdom runs beautifully on all desktop or mobile devices and offers plenty of fun – so put your fins on as we look a bit more closely at this video slot. Siren’s Kingdom can be played from just € 0.3 per spin, while the maximum bet stands at € 150. As we said, this game comes with 30 paylines on which you can score wins if symbols land from left to right of the screen, while the RTP stands at a rather impressive 96.18%. Land at least three Free Spins symbols on the reels in any position and you can trigger the Free Spins mode, which gives you 14 Free Spins for three Mermaids, 25 Free Spins for four and 36 Free Spins for five of a kind. During the Free Spins mode, whenever you land a sticky wild it will expand across the reels for a number of times, and you can see your account balance lighting up with Mega or Epic wins landing you huge amounts of cash. The Sticky Wild symbol can also land during the regular game mode, with the Mermaid that will expand to the left and right on the second spin and then vanish again in the vast expanses of the ocean. When it appears during the Free Spins, as we said, watch out for the big prizes. There are nine standard symbols that can land at any time on the reels. Out of these symbols, the higher paying symbols are the Starfish Shell, the Puperita (or snail, if we want to be a bit less technical), the Atlantic Triton (or cone shaped), and the Full Lion’s Paw Shell (leaf shaped). The lower paying symbols are the cards – the 10, J, Q, K and A symbols – offering lower payouts than the themed symbols. The Siren’s Kingdom online slot comes with a set of very relaxing and indeed beautiful graphics to enjoy, with a perfectly matching soundtrack and sound effects cache. You can turn off the sound at anytime through the Settings button on the left hand side of the screen, while the rest of the settings can be found at the bottom of the screen – including autospin, and bet amount setting. Siren’s Kingdom is a sparkling video slot with great graphics, offering a very smooth gameplay experience thanks to high-end technology from Iron Dog Studios and their partnership with 1x2 Network Gaming. Siren’s Kingdom comes with a very decent RTP and the promise of vast treasures, since Free Spins aren’t hard to come by and the Wild Mermaid can appear more often to guarantee even bigger wins. Time to fill your treasure chest! Winning combinations are yours to score on Siren’s Kingdom, and its stash of exciting features and graphics in this five reel video slot. Dive in! There’s a great haul of rewards awaiting you! To tell you about Iron Dog Studios, we have to go back and look at one of the more experienced suppliers in the industry, and what led them to the position the company is in today. It all starts with 1x2 Gaming, which you surely heard of at some point, at least if you are a gambler. Let´s get right into it! So, as mentioned, it all starts with 1X2gaming. 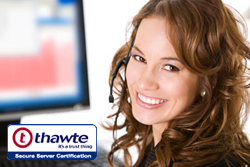 A known supplier that made a big decision to restructure its own ways. Recently it changed its entire structure by rebranding to 1X2 NETWORK, and with that came numerous new possibilities and news for players. With this restructure the network gained a sister company, the exciting division by the name of Iron Dog Studios! There, a vibrant new game supplier took form and life right before our eyes – and it is a mighty force to reckon with. Videoslots.com is truly proud to take part in the success story of Iron Dog Studios, and we are thrilled to watch it happen. We strongly recommend you check out the portfolio right now – trying these games will impress you to the core.